Home Flashlights AA Flashlights Can You Take a Flashlight on an Airplane? Just like birds in flight, humans travel a great deal. 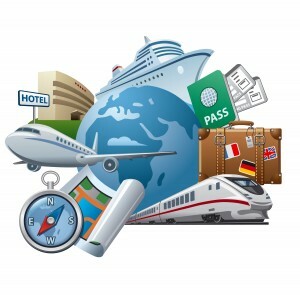 Whether for business or pleasure, our global reach has risen steadily with each decade. This raises the question, for which we hear often, can you take a flashlight on an airplane? The only reason why anyone would ask, is because of the restrictions the airline industry has imposed upon its customers. So, with the long list of “restricted” items in place, it only seems fitting than someone whose accustomed to having a flashlight in their pocket, would wonder if it’s on the list. I don’t have the need to travel by air very often, but those who do have stories to share. Basically for every experience you hear, there’s either an opposing point of view, or a similar experience that ended up just the opposite! 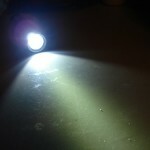 Since flashlights come in every possible size, you can imagine that every story starts with a different size light! There are those who’ve carried up to 10 lights of varying sizes within a backpack. In most cases, the lights went through security without issue. Sometimes when carrying a large light… and I mean, a LARGE light, it needed close inspection. Airport security rarely asked that it be switched on…but instead, swabbed the light for anything suspicious. In some cases, security just wanted a “show and tell” from its owner. 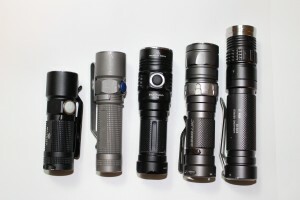 When hearing these tales of flashlight owners who’ve taken flight with one or more of their lights, you can imagine that their experience has differed depending on airport and airline. So, while in the next section I’ll cover the best practices by some of the users, it’s important to understand that although the rules are already in place, each situation may vary widely. Although home modifications are possible, chances are that if it warrants an inspection, they might not spend too much time with it as long as it appears that it was manufactured by a legitimate company…and not something you made in your basement! Treat your light, (unless it’s really enormous) like a tube of toothpaste. Pack it in your carry-on luggage, and not with your clothes. This is mainly to discourage theft by dishonest baggage screeners. It’s a shame… but they’re out there… and there’s no reason to give them reason to poke through your luggage. Sometimes your larger flashlight might look impressive, or give off a larger beam when needed, but some feature crenelated bezels which can be used to either break glass or fend off an attacker. If you think airline security might regard that as more of a weapon, then leave it at home!!! Your best bet is what you’d normally carry in your pocket on a day to day basis. Batteries are actually in a different league altogether. Whereby your question is about whether you can take a flashlight on an airplane…the means by which the light is powered, is of more concern to airline security. So here’s what flashaholics have suggested when it comes to lights that primarily use Lithium-ion batteries. 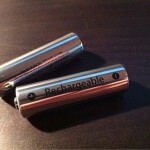 As far as the screeners are concerned, you don’t want them finding a rechargeable batterywith minimal lettering on it. An RCR123 which “looks” homemade is asking for trouble! 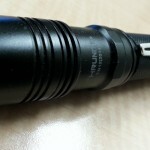 So as long as they’re branded with “Nitecore”, Olight, Trustfire, Surefire, EagleTac or any such “major” manufacturer…they should pass the eagle-eye without issue. 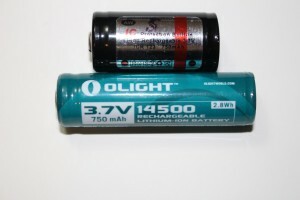 As a general rule, the airline industry categorizes Lithium batteries as those that are necessary for the operation of handheld devices. These include the obvious; cellphones, tablets, iPad’s, laptops etc. It doesn’t generally include LED flashlights. So, since the batteries for our lights can be removed, that’s probably the best way to pack them. 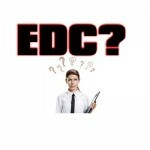 If there’s an EDC light in your pocket, having a battery in it shouldn’t present a problem. 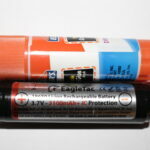 But if you’re packing extra batteries in a carry-on, make certain they’re secure. It’s often inadvisable to pack a flashlight containing Lithium cells…which in the worst possible scenario could vent with flame. This would be disastrous at 30,000 feet! The best advice is to pack them separately, or if they’re installed in the light, make certain it’s unable to switch on by accident. 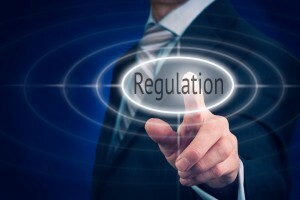 And finally, here are the rules and regulations as set forth by PHMSA (the Pipeline and Hazardous Materials Safety Administration). 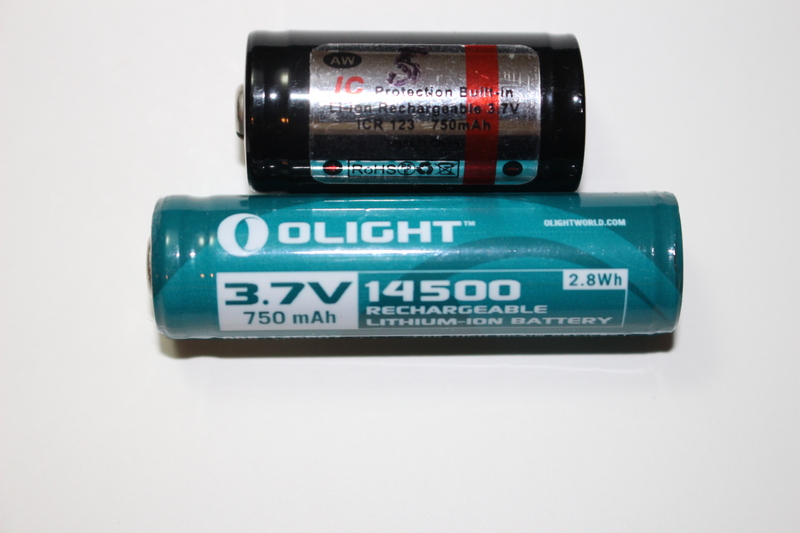 Lithium metal battery — up to 2 grams: When installed in a device such as a digital camera, it’s permitted in both checked and carry-on baggage. Spare Lithium metal battery — up to 2 grams, not installed: forbidden in checked luggage. Permitted in carry-on only. Lithium metal battery, whether installed or not, OVER 2 grams: forbidden in ANY luggage. 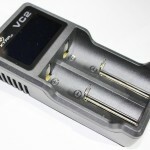 Lithium-ion battery, up to 8 grams…installed (i.e cell phone) permitted in all luggage. If you found this article helpful or have additional questions, please let me know in the spaces provided. Thanks for the information! Definitely a topic and a lot of things that I was unaware of before landing on your site. Also, I think having a flashlight on a plane is something that many people, including myself don’t think about. However, it is a great piece of advice and one I will be doing the next time I travel. Thanks again for the tips! Thanks for the comment! I’m glad it was able to enlighten you. I have always traveled with a smaller type flashlight on planes, never thought too much about it. I can see why there are battery restrictions in place for the world we seem to live in! I will be sharing this with my husband, as he travels a lot by plane with his job. Thanks for the information, very helpful. You’re welcome, and thanks for letting me know you were here!